Established in 1992, Kauzhumba Primary School is situated in a poor and marginalized community in the remote Zambezi Valley of Zimbabwe. 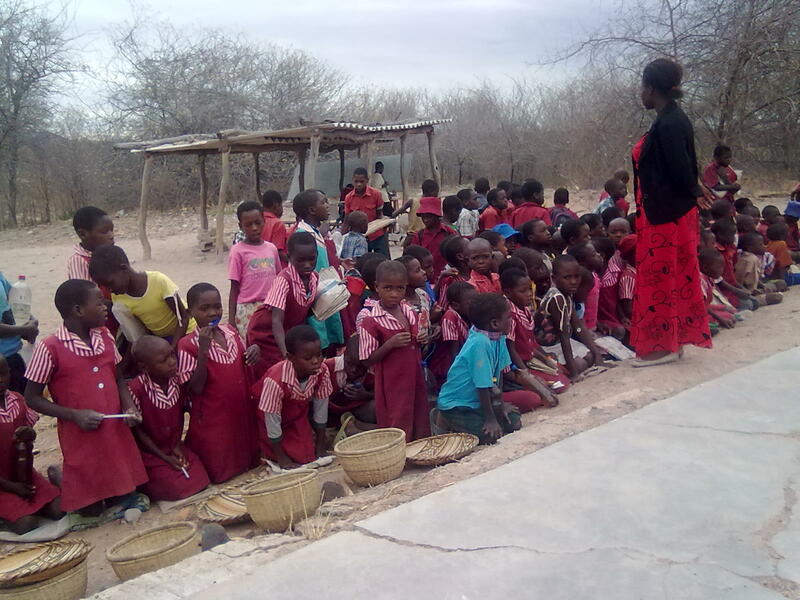 It lacks decent classroom blocks, decent accommodation for teachers, toilets and clean water - the nearest borehole is about 2 km from the school. The school's main classroom block collapsed 5 years ago and children are now learning in makeshift classrooms.Currently, the school has 11 qualified teachers and an enrolment of 500 pupils from grade zero to seven. Owing to its current state, the school does not comply with the Ministry of Education (Zimbabwe) standards for an examination centre. To write their national examinations, grade seven pupils must walk to Marembera Primary School, some fourteen kilometres from Kauzhumba, passing through dangerous terrain where wild animals pose a real risk to pupils’ safety along the way.The learning environment at the school is highly compromised throughout the year, but even more so during the rainy season when pupils are exposed to the harsh weather conditions. Additionally, teachers’ quarters are in a deplorable state with two teachers sharing a single living room. This makes it difficult for the school to attract and retain qualified personnel. All these factors compound to significantly compromise the quality of learning and teaching at the school. Mobilising and supporting the community, which has elected a local committee of 8 traditional leaders as ex-officio members to address this issue. Quality education for over 520 pupils will be delivered through creation of a healthy and safe learning environment. Participatory development in the community is being supported and promoted through this initiative. Standards of living for the 11 teaching staff are being improved through this project.